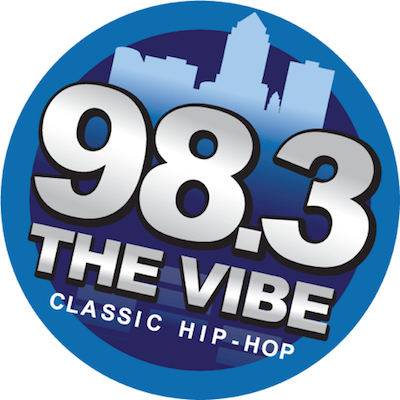 Cumulus Media has flipped Conservative Talk “98.3 The Torch” KWQW Boone/Des Moines to Classic Hip-Hop “98.3 The Vibe“. KWQW let go of local morning host Robert Rees following his show this morning. The rest of the station’s line-up featured syndicated talkers Glenn Beck, Jonathan Brandmeier, Michael Savage, Mark Levin, Steve Deace, and John Batchelor. The station registered a 1.0 share in the Spring 2015 Nielsen Audio ratings. The flip of KWQW continues a busy couple weeks in the Des Moines market where Saga Communications launched Sports “ESPN 1350” and Classic Country “93.7 The Outlaw” and moved Standards to FM “Legend 104.5“. When KWQW was relaunched as The Torch in April 2014, I posted on this site that it would not make a difference in the low ratings it had as Wow FM and that Cumulus should go to a musical direction. It has come to pass. They are obviously looking at the bottom line as they are carrying the Westwood One Classic Hip Hop feed. After a period of stagnation, Des Moines radio has become interesting to follow again between this and Saga’s recent moves. IHeart has a CP for a translator at 103.7 and now we can begin to speculate what will they do with it. Cross Classic Hip Hop off the list of possible formats. It’ll be interesting to see how well they stack up against KIOA-HD2 (Hits 99.9), which have managed to do well for a FM translator. The 98.3 The Torch Facebook page is still active. It looks like some of the programs on the old 98.3 format may find a new home as KBGG-AM 1700 The Champ is set to become Big 1700 on Monday “News-Talk-Sports.” KBGG currently runs CBS Sports Radio, five hours of local sports talk, Westwood One play by play and is in the second year of a contract to be the Des Moines home of University of Northern Iowa football and men’s basketball. 98.3 was carrying the Kansas City Chiefs so I would assume the remaining games will move back to 1700 where they were last season. There have been at least a couple of local stories (at http://whotv.com/2015/10/06/98-3-fm-flips-format-from-conservative-talk-radio-to-classic-hip-hop and http://www.desmoinesregister.com/story/sports/2015/10/07/1700-champ-rebranding-sports-news-station/73509754) that have official details about Big 1700–which, on weekdays, will essentially have a 50/50 ratio.